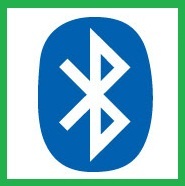 your computer or laptop should have Bluetooth device with installed Bluetooth driver and is functioning properly. Note: Bluetooth Tethering is included after Android 4.0 i.e Ice Cream Sandwich version as a in-built feature. I had made this practical with Samsung Galaxy S duos, S3 and Other mobile phone, but it might be possible that your mobile may not have this facility. 1.) Turn on your Computer or laptop Bluetooth on and ensure that it is capable to discover all other devices within a range. 2.) Enable your data packet and see if your internet is working fine in your android mobile, by checking opening web pages in your phone browser. 3.) Tap to settings in your android device and select wireless and networks. Tap on to Tethering and portable hotspot i.e Setting -> Wireless and networks -> Tethering and portable hotspot. 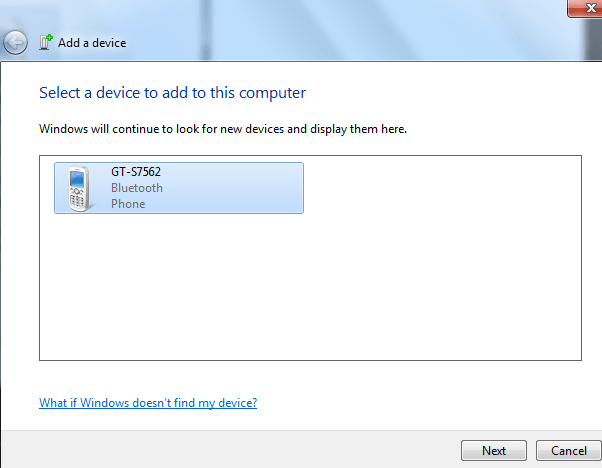 Select Bluetooth tethering check box as shown below. Note: Also ensure that your Bluetooth Device is visible. If not then, make it visible by selecting check box Visible corresponding to your mobile name, present in Setting -> wireless and setting -> Bluetooth as shown. 4.) Now move on to your computer or laptop to make couple of steps. 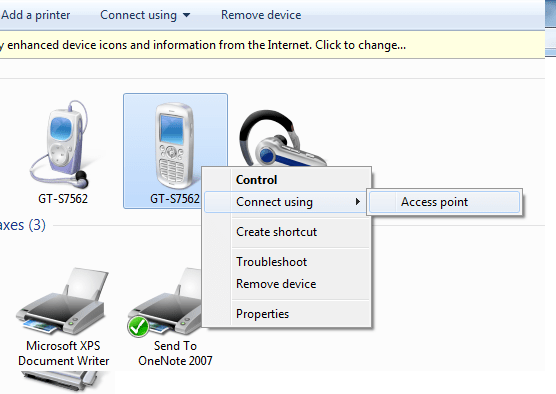 Open control panel (For windows PC, Press window key then control panel) and select Devices and printer link to add your Bluetooth enabled android device, by pressing Add Devices button appearing in the above of window bar. 5.) In the opened up window, you can see your android mobile device which has Bluetooth On. Now select that device and then press next button. Let the device get paired with your computer or laptop. 6.) Last step. In the same window i.e in Devices and printer, select the device and right click on it, where you can see the option to Connect with internet access. Once you clicked it, you are ready to go to access internet in few seconds in your Personal computer from your mobile device. Open your browser and enjoy surfing. I suppose this should work properly, if you face any problems to Connect internet from Computer to android using Bluetooth Tethering then do comment below. Also do share your experience and your android trick for connecting internet with PC from mobile by commenting below. can we do the reverse ? i meam can we share pc’s internet with my android phone ? Thanks for this gr8 help. thanks akshay for the link. I always go through these steps, but never succeed. After following the last step, it shows that PC is connected to the internet, but actually internet doesn’t works. It works on the mobile at the same time, but on the PC when check property, the packet being received remains to 0. However, the packet sent keeps to change, but that alone cannot help in surfing the internet. Thank you , it was very useful for me. The article is about how to share mobile conection with PC, but I want to know “Connect internet from Computer to android using Bluetooth Tethering”. My computer is conected to wifi. So my WLAN card is busy and can`t take and give internet conection at thte same time. But I need to connect my phone using bluetooth. (no wifi) it`s android. What to do? if i cannot supposed to see the option bluetooth thethering in the thethering and hotspot menu means what to do? you must be using older version of android which doesn’t support bluetooth tethering, try usb or wifi tethering. I review your above mentioned steps, i use these steps and finally i have the message of error that the Bluetooth networking have no valid ip address, and cause of no internet access, sending packet working but receive packet not working.. I am using Samsung star pro mobile but at this time I am connect the Bluetooth internet this connection to failure. bcoz laptop to say this devices already connected to another device plese check your laptop setting . sir please tell me what are you connect this connection. I tried every step and in the last step it also show me connection successful but i can’t access my internet from mobile. any idea or any tips please .. I want to connect my intex cloud x4 phone to pc via sharing internet. every one I followed the steps and I am conected to the pc but still I cant use the internet from pc heeeeeeeeeelp me heeellllppppppppp (0_o) . I always do this and I have succeeded but many times it says unidentified network. Please guide me what to do. I am able to connect to the PC using bluetooth, but not able to surf the web. It is still showing as offline. Can you guide me to solve the problem. u hav given the title as conecting computer internet to android but the steps u hav given is sharing mobiles internet to PC ? I connect my android phone with laptop. my phone shows also connected. when I open mozila browser quickly open google page but when I search anything in google it shows connection problem. what can I do now? I am facing some issue in connecting to the network though bluetooth. I don’t find ‘connect to option when I right click on my device. Though the device is listed, it has only 4 options (create shortcut, troubleshoot, remove deivce & properties). Any idea why the options are not shown!!?? Thanks. That worked properly for me. Actually i followed the above steps and i connected with my android( Samsung galaxy SDUOS S7562) mobile but i didn’t get the internet in my mobile. I am getting error message as please check the internet connection. Can please tell me how to solve this problem? This will never work. Except you use a dialup with an 900 number. my problem is that sharing my internet on my mobile via bluetooth all connection connected but any packets not receiveing plz help my frds. The problem is that with some devices, the Connect using option is missing! i am using moto E.. but it didn’t work for moto e.
i connect my walton ef android phone to pc via bluethooth for internet connection . it works but disconnect after 3 min. solution plz. Actually when I was trying to connect internet in my PC via Bluetooth tethering , it was showing only one connecting option “direct connection” , but there was not any option like “access point”. I right clicked on my device and choose connect using option. But in that there was only one option “direct connection”. There was not “Access point” option. I successfully connected my phone with laptop but can’t understand why the connection is limited pls help…. after clicking “connect using”.. it’s showing ” Direct Connection” instead of “Access Point”. why? I have connected my phone via wifi. I want to share that connection with another phone or mobile device. Is it possible to do so by Bluetooth? How? I followed the steps as given… but the context menu over the paired phone only shows DIRECTION CONNECTION under connect using…. !!!! My tablet is Loaded with Andriod 4.3 …!!! I tried to conduct my PC to my android mobile but I failed.now I successfully do this just because of your article. thank u soo much …. excellent information for my samsung galaxy s3 … american smartfone ..
it was not supporting the wifi hot spot… my problem is resolved now… thanks again…. I have used the trick to connect internet computer android using Bluetooth trick and it works for me. 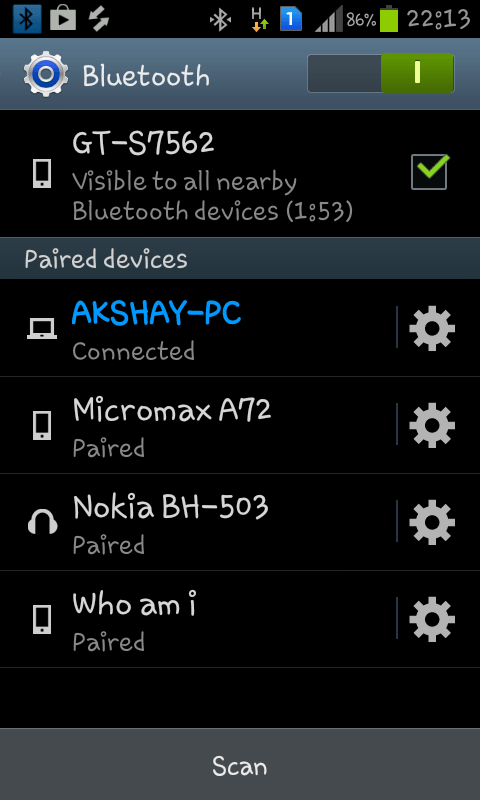 CAN WE DO THE REVERSE OF ABOVE SITUATION I.E SHARING PC’S INTERNET WITH OUR ANDROID PHONE USING A BLUETOOTH DEVICE.